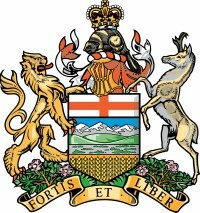 Mike Ellis was elected to the Legislative Assembly of Alberta in the constituency of Calgary-West in a by-election on October 27, 2014. He was re-elected on May 5, 2015. He currently serves as a member of the standing committees on the Alberta Heritage Savings Trust Fund and Families and Communities. Prior to serving with the Legislative Assembly, Mr. Ellis spent 12 years with the Calgary Police Service. During his tenure he served eight years in the position of constable and three as patrol sergeant. In recognition of his service he received a 10-year distinguished service medal in 2013. During Mr. Ellis’s policing career his focus was primarily on community policing, which included working with some of Calgary’s most vulnerable citizens through the Alberta Secretariat for Action on Homelessness. He specialized in judicial administration law and incident command, and also trained other officers in how to help victims of crime. Mr. Ellis has studied in the bachelor of policing program at Charles Sturt University in Australia. He also holds a management certificate from Mount Royal College and leadership certification from the International Association of Chiefs of Police. Mr. Ellis is married to Hollie, and together they have three children.